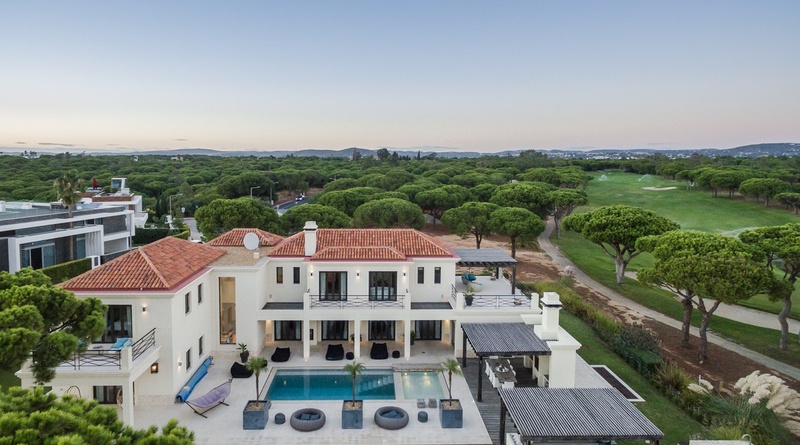 Villa Estrela is a beautifully appointed six bedroom villa located in the world-famous resort of Vale do Lobo. Vale do Lobo and the surrounding area offer all the facilities that will make your stay an enjoyable one. If you don’t fancy venturing far from the property the gorgeous swimming pool is perfect for lounging by or alternatively the outdoor jacuzzi may tempt you. The warm Algarvian summer evenings can be best enjoyed with some alfresco dining in Villa Estrela’s BBQ area. Vale do Lobo has an enviable reputation for offering an extensive range of sporting and leisure facilities, with something for every member of the family to enjoy. Discover two kilometres of golden beach, top international cuisine, year-round events and all the services one could ever need, harnessed in a single destination. Situated just 20 minutes from Faro International Airport in a location of breathtaking natural beauty, the resort offers the ideal environment for your holiday with golf and/or sea views.